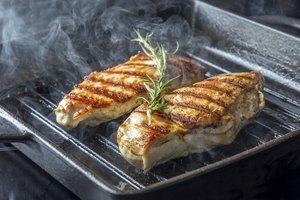 Panini grills and presses are primarily used to make the famous, Italian pressed sandwiches known as panini, but the surprisingly versatile grills also offer an ideal surface for cooking chicken. 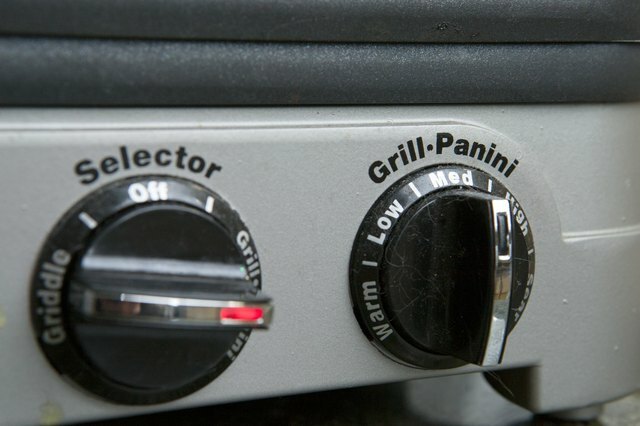 Panini grills come in both stove-top models and countertop models, that plug into an electrical outlet. Some are one piece with a hinge attachment, while others come as two separate pieces: a ridged skillet and a ridged press. Often, these two-piece models are cast iron. You can learn how to cook chicken on a panini grill in a few simple steps. 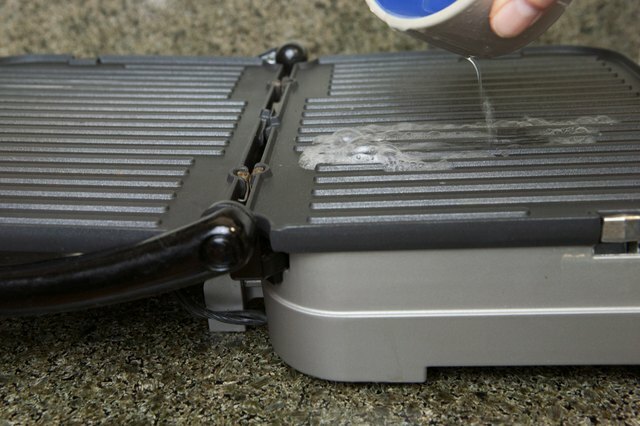 Wash your panini press in hot, soapy water before you use it for the first time. Since models and materials vary, consult your manufacturer's instructions before using your grill. Heat your grill on a medium setting. If you're using a two-piece stove-top model, place the skillet grill on one burner and the panini press, ribbed side down, on another burner. Heat both burners on a medium setting for three to five minutes. 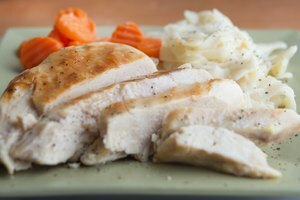 Dry your chicken breasts well with a paper towel so that the chicken will sear effectively. If you don't dry the chicken, it may stick to the press, and the attractive sear lines from the grill ridges may not materialize. Season the chicken to taste, using salt and pepper. 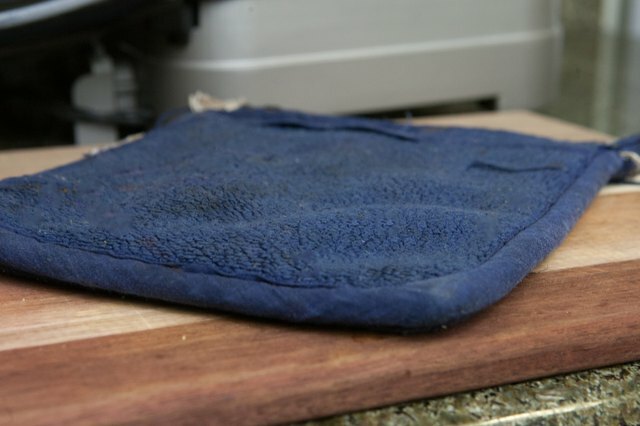 Keep an oven mitt handy, especially if you're using a stove-top model. Even the knob on the panini press can get quite hot. Sprinkle a few drops of water on the cooking surfaces to test the grill's readiness. If the grill is hot enough, the water will sizzle. 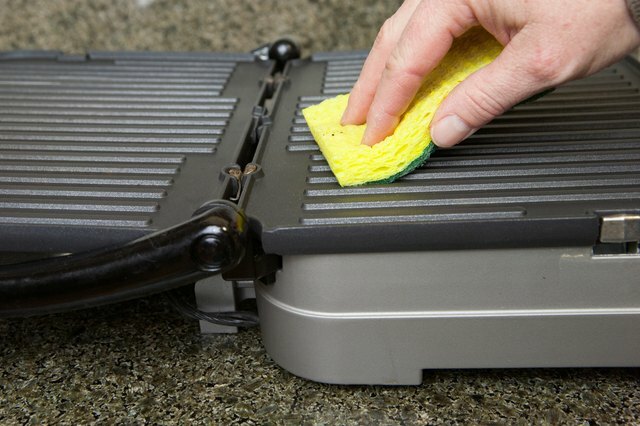 Brush the ribs of your skillet and panini press with vegetable or coconut oil to prevent sticking. Don't use olive oil or flavored oils, which have a lower smoking point than vegetable and coconut oil. 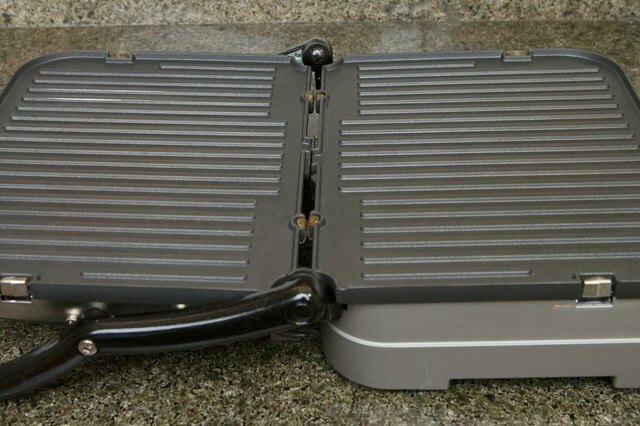 Returning the oiled press to the burner ribbed side down can cause flaring, so use caution if you're using a two-piece grill. Place the chicken on the grill. 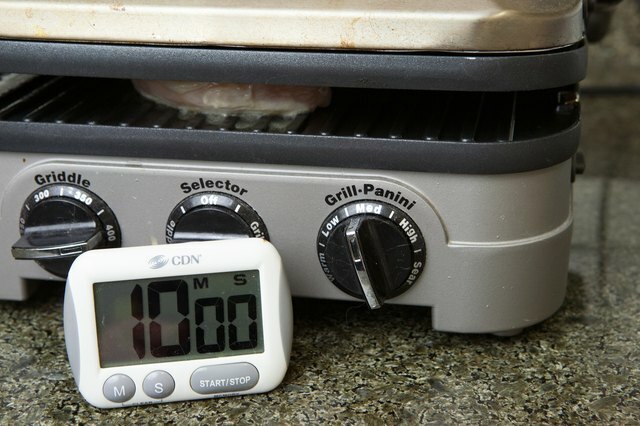 Apply some pressure with the panini press top for 10 to 30 seconds and then release, leaving the press in place on top of the chicken. 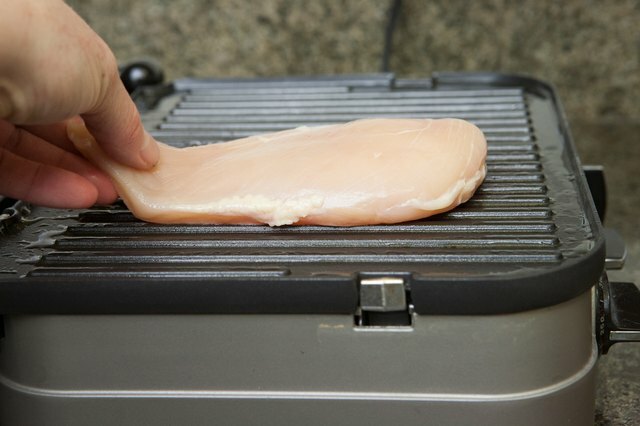 For best results, don't place your chicken on the panini grill if the grill is so hot that it's smoking. Let it cool slightly first. Don't preheat on high and then lower the setting if you're using a cast-iron skillet and press—doing that can cause your chicken to stick to the pan or burn because cast iron retains heat so well. 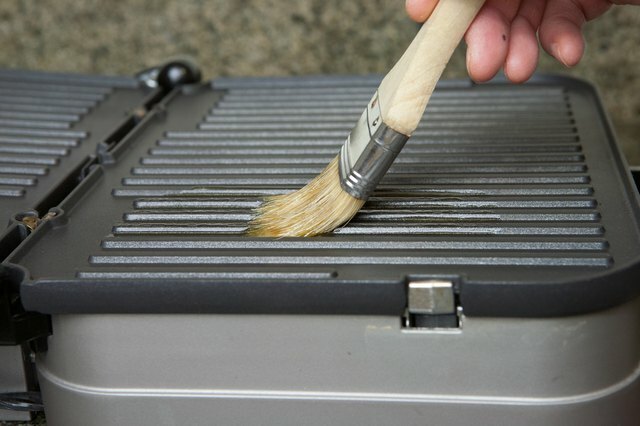 Oiling the grill before it's hot can cause flaring. 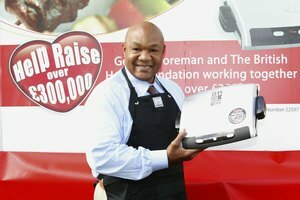 Can You Cook Hamburgers on a George Foreman Grill?